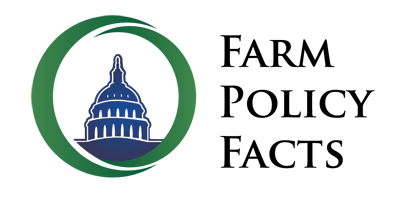 Editor’s Note: Farm Policy Facts is pleased to publish a guest editorial from Congressman Kevin Cramer of North Dakota that examines the challenges facing America’s farmers and ranchers and the path for keeping American production agriculture competitive in a global market increasingly distorted by high and rising foreign subsidies, tariffs, and non-tariff barriers to trade. When it comes to U.S. farm policy, some folks who don’t know much about risks of farming and ranching want to cut twice before measuring once. Common sense says we should measure things first. In fact, the 2014 Farm Bill’s commodity provisions are saving an estimated $16 billion when compared to an extension of the previous law. And, crop insurance outlays are also down — by a whopping $9 billion — as compared to the Congressional Budget Office’s (CBO) estimates during the Farm Bill’s consideration. Despite these policy successes the fact remains times are very difficult for our nation’s farm and ranch families. 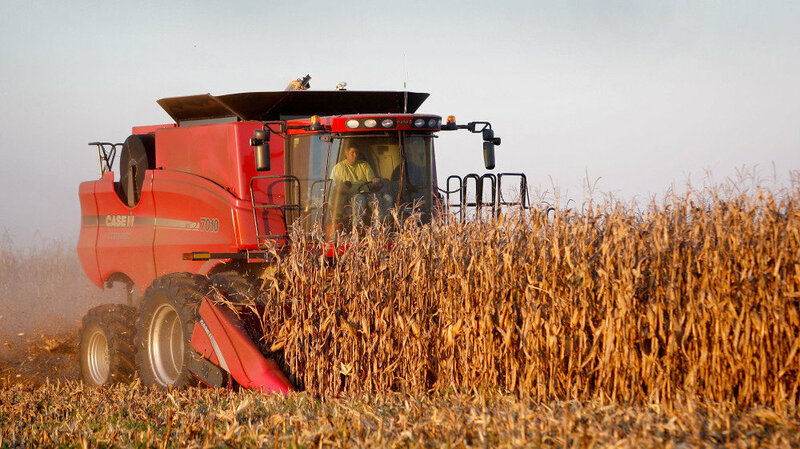 In announcing the issuance of Farm Bill commodity title support for farmers recently, the U.S. Department of Agriculture (USDA) acknowledged the help is in response to roughly $28 billion in losses sustained in just one year alone. The Farm Bill and Crop Insurance ‎will not make our farmers and ranchers anywhere near whole from these heavy losses. But these policies will help hard working families — who feed, clothe, and increasingly fuel us in a manner unrivaled in history — to repay their loans and secure financing for the coming year. Still, as we look forward to the next Farm Bill, we are going to need to focus on shoring up the farm safety net in places where it really needs some work. For instance, I often hear from my farmers about problems with the Agricultural Risk Coverage (ARC) option and dairy, and my colleagues in southern states tell me cotton policy must also be fixed. These are areas where current policies must be strengthened or otherwise exchanged for more durable risk management tools our farmers can more effectively use during hard times like these. And, of course, any changes we make must be made while honoring the mantra of nearly every farmer in the country — first, do no harm to crop insurance. But, far beyond any alterations to farm policies that are designed to mitigate the symptoms of much larger problems, we must actually tackle at least some of the larger problems themselves. Among these problems that make it difficult for farm and ranch families to make ends meet are regulations, including the Environmental Protection Agency’s (EPA) Waters of the U.S. and the so called Clean Power regulations, which drive up the cost of doing business. Tax burdens‎ on our farmers and ranchers must be reduced and, in the case of the death tax, repealed. And, unfair predatory trade practices by our largest foreign competitors need to be tackled aggressively and head on. Recently, the U.S. government finally challenged China’s excess subsidies on just three crops — corn, wheat, and rice — totaling $100 billion in a single year. Put in perspective, in 2015 the U.S. spent about $11 billion on the safety net for all commodities. Not long ago, U.S. sugar farmers sued Mexico, a country that owned one-fifth of its industry and heavily subsidized the rest, for dumping sugar onto the U.S. market at below Mexico’s cost of production. The International Trade Commission unanimously ruled in favor of our sugar farmers. Similarly, my colleagues in southern states say China drove the price of cotton up to $2.20 before altering policy and subsidizing its domestic farmers, driving world cotton prices into the 50-cent range. These examples are not notable exceptions to the rule that trade is somehow free and fair. These examples are very much the norm our farm and ranch families must contend with every day. Some have argued the United States should simply unilaterally disarm our farmers and ranchers, repealing U.S. farm policy and even our trade remedies currently available against cheaters, and that foreign countries, moved by our good deed, will follow suit. This is Pollyanna. During the Doha Round negotiations the U.S. offered to repeal 70 percent of its domestic support in exchange for meaningful market access for our farmers and ranchers to other countries. The answer from our foreign trading partners was a resounding no. We saw this during the 2014 Farm Bill when the U.S. was cutting domestic support for farmers and ranchers, foreign countries not only did not follow suit, but they doubled down on subsidies, tariffs, and non-tariff trade barriers. ‎I believe the sound approach to creating free and fair markets in agricultural trade around the globe can be found in the zero-for-zero legislation authored by Rep. Ted Yoho of Florida. The bill would repeal U.S. sugar policy when major sugar producing countries around the world fully repeal their subsidies and protections. The one change I would make to this legislation is apply it to all agricultural commodities. Federal crop insurance and livestock disaster aid will always be necessary because Mother Nature will always throw curveballs. And, protection from multiple peril losses is not available in the private market because of the high risks involved in farming and ranching. But, what if we could truly open up foreign markets and create a level playing field for our farmers and ranchers that actually passes the smell test? If we also reined in taxes and regulations, the natural effect could be Farm Bill safety net costs would fall even more as markets recover and farmers and ranchers get a decent return on their investments. Now, that’s a win for taxpayers, consumers, and America’s farmers and ranchers. Rep. Kevin Cramer is North Dakota’s only member of the U.S. House of Representatives. He serves on the House Committee on Energy and Commerce.